This incredible custom Shovelhead is up for sale, and it is definitely not to be missed. This is custom in every sense of the word, from top to bottom this machine has undergone an insane transformation that spares no expense. Everything bar the essential engine components have been upgraded, styled and customised to make this a one of a kind ride, all while keeping the recognisable shovelhead look and most importantly making it ride as cool as it looks. 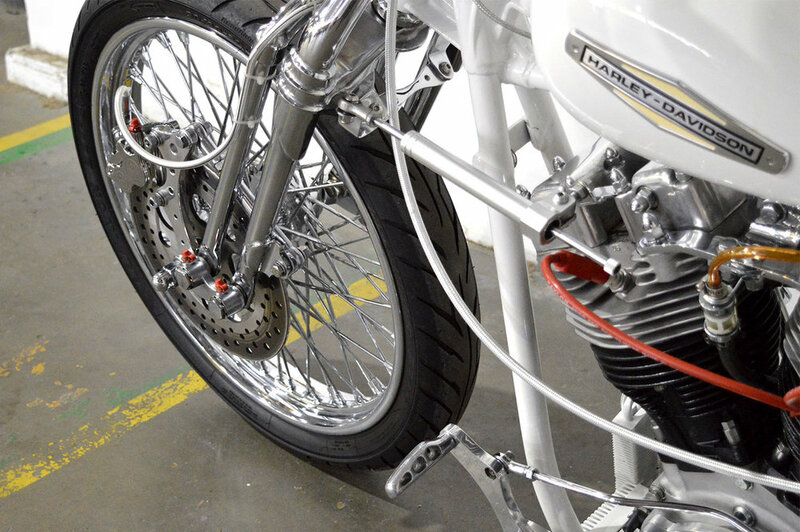 Some of the many custom features include: Springer front end, custom black leather solo seat, custom rear end fitted with 11" shocks, torpedo oil tank, custom fenders front and rear, 2 into 1 exhaust, keystone bars with risers, custom paint throughout including peanut tank. As well that a massive amount of work and parts have gone into the engine making sure it runs like a beast! The photos don't do it justice, it really must be seen (and heard) in person to get the full scope of this build.